Professional dental cleanings keep your smile looking whiter and brighter, but they’re also valuable for maintaining your general health. It may come as a surprise to some, but strokes, heart disease and infections have all been tied to gum disease. You can prevent these health issues by scheduling regular cleanings and check ups at our Somerset, New Jersey dental office, where you’ll also experience many other benefits detailed below. Dental insurance companies understand that covering the majority of cleaning costs means their clients will be able to take the steps needed to prevent other potentially painful and expensive dental problems. 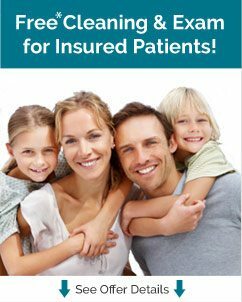 Dental insurance is your benefit; be sure to use it! Bacteria and plaque on your gums and teeth cause bad breath and halitosis; a professional dental cleaning thoroughly removes these culprits. If you are suffering from bad breath, a professional cleaning could help. Often, if a patient has an untreated cavity, removing and replacing the tooth or having a root canal might be the only option to fix the damage. During a professional cleaning, doctors can give early detection to cavities and gum disease, saving the patient trouble down the road. Every hour, at least one person in the United States dies of oral cancer, even though the disease is treatable with an early diagnosis. All patients at Dental Care Somerset will receive an oral cancer screening as part of our professional cleaning services. Coffee, red wine, tea and tobacco use create stains on your teeth, dulling their appearance. A professional dental cleaning will remove much of the staining, leaving your teeth whiter and brighter.